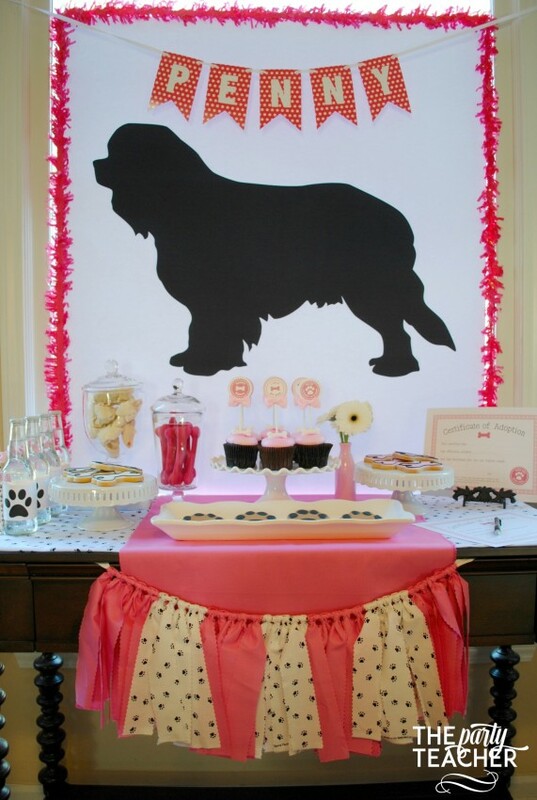 Party planner extraordinaire Jennifer Needham – aka The Party Teacher – threw the most adorable puppy adoption party for her family, using my free printable dog adoption kit! 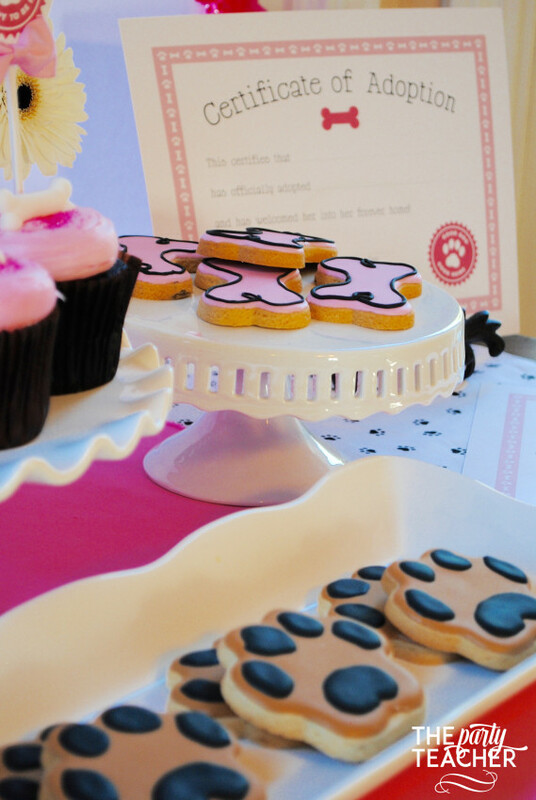 Read on for party details and the free printables. Jennifer’s family adopted Penny, a Cavalier King Charles Spaniel. The backdrop silhouette was made using an image from Linen Workshop. The pink fringe is from Petite Party Studio. 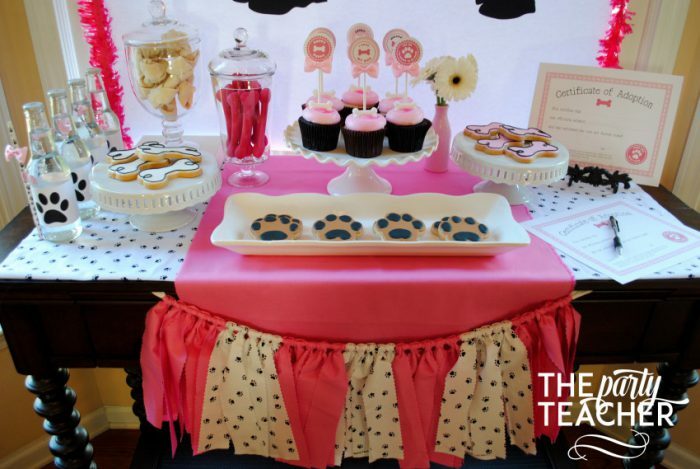 The adorable pink and paw print fabric bunting is from Jennifer’s shop. 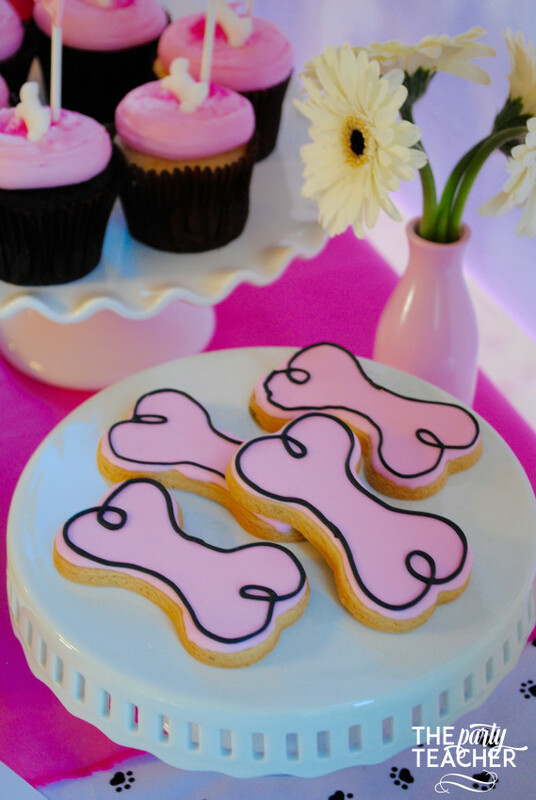 The dog bone and paw print cookies are from Arya’s Cookies. 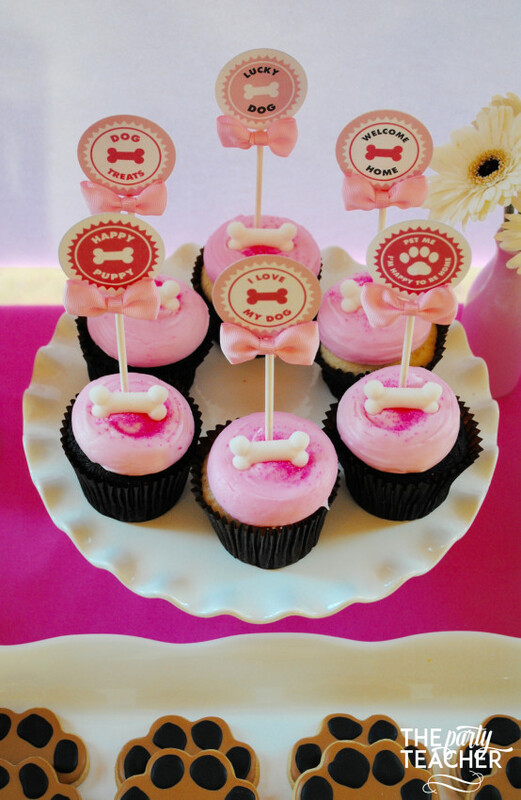 Jennifer decorated her cupcakes with sugar dog bones from City Chocolates, and free printable cupcake toppers. 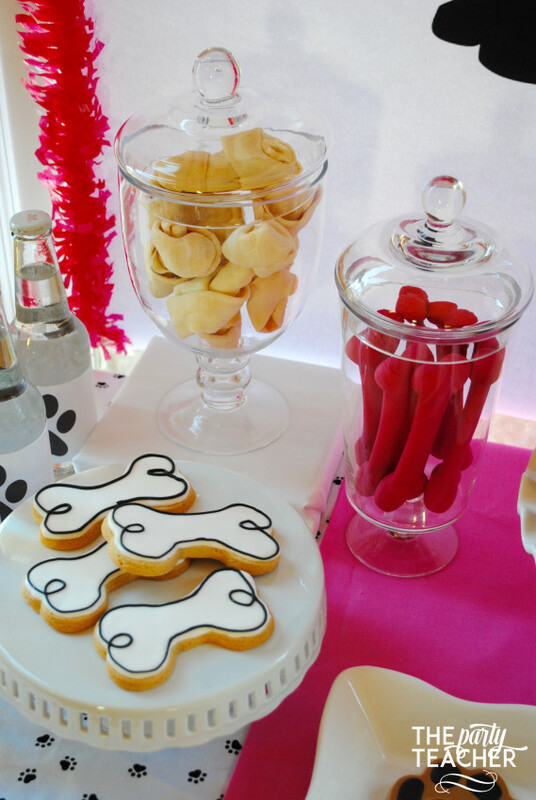 The treats also included actual dog bones (in the glass jars) for puppy Penny. During the party, the family signed adoption papers to celebrate! 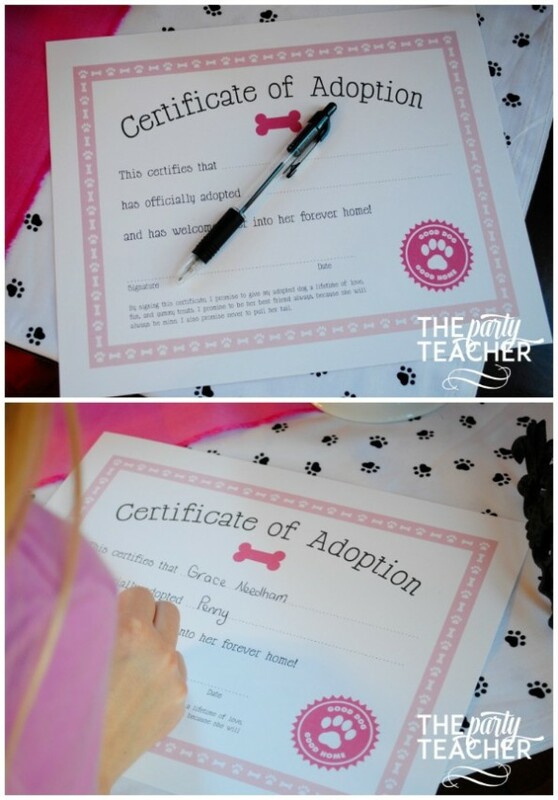 The certificate of adoption is part of my free printable kit. It also comes in blue. Downloading info is below. 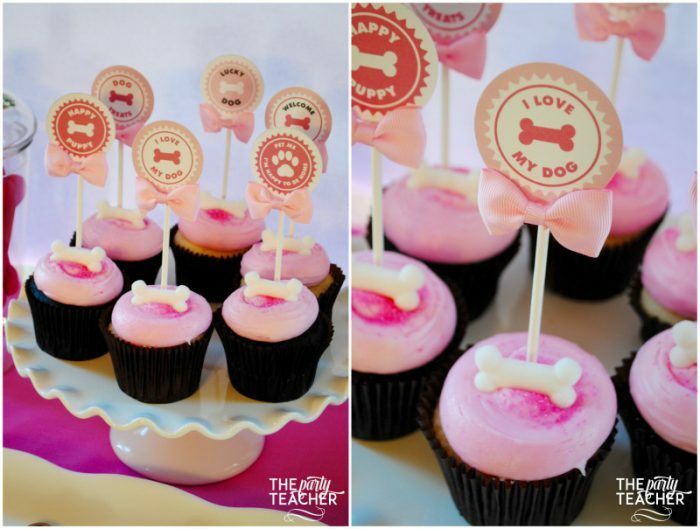 For more photos and info about Penny’s adoption party, visit The Party Teacher! 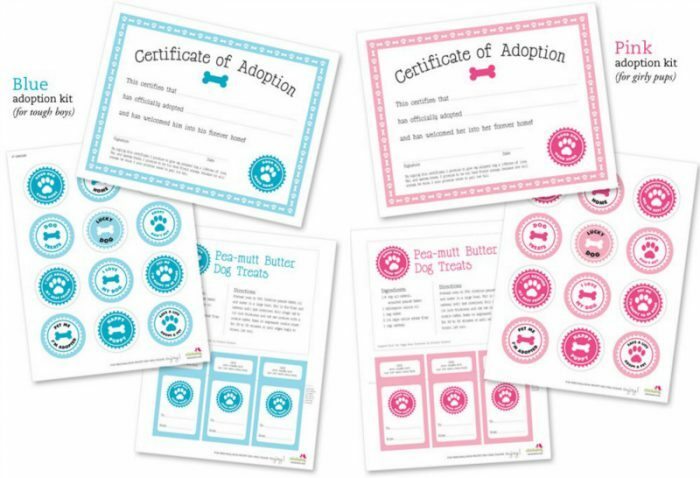 To download the free printable dog adoption kit, join our VIP list! I'm throwing a "kitty party" for my daughter's 7th birthday. These pink and blue adoption papers are the cutest!